We have prepared this policy in order to show our network’s commitment to privacy. The following discloses our information collection and broadcasting practices for all the FlyingRoses.com network sites. We use your IP address to help diagnose problems with our server, and to manage our concerned website. Your IP address is used to help identify you and to gather general demographic information. 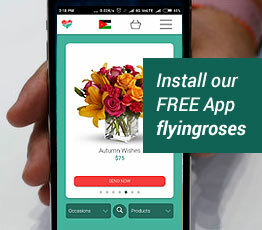 All FlyingRoses’ registration form asks users to give their contact information, like their name, telephone number, and email address, and unique identifiers. We use your customer contact information from the registration form to send the user information about our company. The customer's contact information is also used to contact the visitor when necessary if they have opted to receive our mailing list. Users anytime may opt-out for not receiving future mailings by choosing to un-subscribe. Unique identifiers are collected to verify the user's identity and for use in our record system. Our sites may contain links to other sites. We are not responsible for their privacy practices or the content of such websites. Our site uses an order form for customers to request information, products, and services. We collect visitor's contact information and unique identifiers. Contact information from the order form is used to send the orders and information about our company to our customers. The customer's contact information is also used to get in touch with the visitor when necessary. As stated before users may opt-out of receiving future mailings. Unique identifiers are collected from Web site visitors to verify the user's identity and for use as account numbers in our record system. 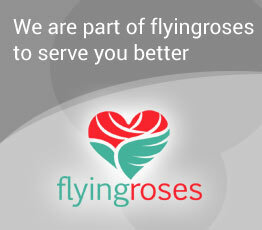 All FlyingRoses sites have security measures in place to protect the loss, misuse and modification of the information under our control. All our data is protected using the most advanced methods available. We do not store your credit card details on our sites. We give users the following options for removing their information from our database to not receive future communications or to no longer receive mail list messages. They can do this by either sending us an email by visiting the Contact Us or by logging in and choosing to Update their Account. We also give our users the following options for changing and modifying information previously provided by sending us an email or visiting the Contact Us page.